Allergy is a disease that tends to run in families. Allergic disorders have a wide variety of symptoms. They may cause symptoms as simple as a runny nose or they may result in a severe life-threatening event known as anaphylaxis. Of course, anaphylaxis is quite rare. In the very young infant, allergy may be manifested by diarrhea, bloody diarrhea, nasal congestion, rash, wheezing and colic. 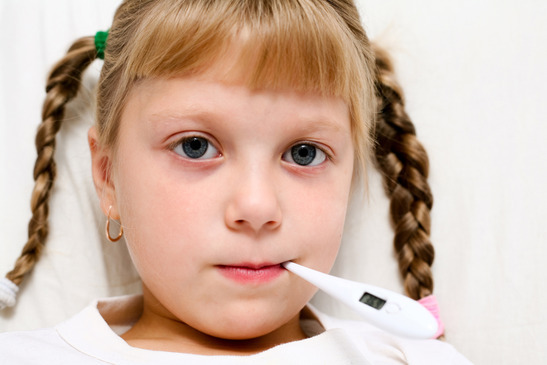 These symptoms may be due to a formula allergy, which, if untreated, can be serious. Additionally, the same symptoms may not be due to allergy at all, but to an infection or other cause. Because of this, if your child exhibits the above symptoms, it is recommended that you contact your Physician for an appointment. Older infants and children tend to have allergic manifestations that are very similar to what adults have. Food allergies can cause vomiting, diarrhea or blood in the stools. Conversely, some food allergies can cause nasal congestion, rashes, wheezing and/or anaphylaxis. Inhaled allergens may cause nasal congestion, runny nose or asthma. Airborne allergens can also cause watery, itchy eyes. The symptoms of allergy may mimic other diseases, especially infection. It is no wonder that there is a great deal of confusion about allergic disorders. Even physicians sometimes have difficulty sorting out allergic disorders from other problems. More is being learned about passive smoking and its harmful effects on children. Children exposed to passive smoking are much more likely to suffer from ear infections, upper respiratory infections, sinus infections, bronchitis, pneumonia and other problems. If you must smoke, do this outside or in a well-ventilated room, completely away from the child. It is recommended that you stop smoking for both you and your child’s health. This is especially a problem in daycare centers and with baby-sitters with large numbers of children. Try to place your child in a daycare situation that minimizes exposure to large numbers of children. Naturally, no one can avoid house dust completely, but strive to keep the child’s bedroom as free of dust as possible. Enclose pillows and mattresses in plastic cases and wash these with a damp cloth two or three times per week. Take stuffed animals out of the room. Keep dogs and cats out of the house. The most common food allergies are to milk, certain fish, eggs, strawberries and peanuts. Food elimination diets are best done under a physician’s supervision. Of course, medication allergies are important things to note in your child. If your child has an allergic reaction to a certain medication, you should always call your physician with the information. If your child has an allergic rash to an antibiotic for instance, a physician/nurse will usually like to examine the child to determine if the rash is consistent with allergy. In addition to this, you should keep a list of all medications to which your child is allergic and be sure to read labels. Many medications are marketed under several trademarks. For more information on antibiotic allergy see the section on antibiotics below. Remember that an allergic reaction can occur with a medicine, even if the child had the medicine previously without problems. There are a number of medications which can reduce some of the symptoms of allergy. These include antihistamines, Cortisone type medications (steroids), and Cromolyn. Please consult your physician regarding proper use of these medications.